ATLANTA (Nov. 13, 2018) – (RealEstateRama) — Habitat for Humanity commemorates this Veterans Day with a milestone of repairing, renovating or constructing the homes of over 1,000 U.S. military veterans and their families thanks to The Home Depot Foundation’s generous support of Habitat’s Repair Corps program since 2011. According to National Veteran Housing Data, of the nearly 21 million veterans in the U.S., 1.5 million are living below the poverty level. Over a quarter of veterans’ homes have one or more problems, yet many are unable to afford home repairs. 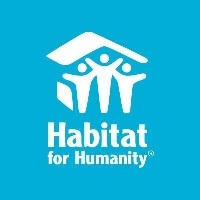 Habitat’s Repair Corps works in partnership with veterans to assist with critical home repairs needs, like installing new HVAC units to help improve air quality, replacing leaking roofs, fixing flooring or installing wheelchair ramps. Among over 1,000 veterans who have been helped through Repair Corps are homeowners like Marguerite, a veteran who served in the U.S. Navy both on active duty and in the Navy Reserve and received the Kuwait Liberation Medal. She and her family are living a healthier, safer and more stable life thanks to home repairs they may otherwise not have been able to afford. With the help of The Home Depot’s associate-led volunteer force, known as Team Depot, over 50 local Habitat organizations across the U.S. are anticipated to build, repair or rehabilitate more than 170 veteran households with this year’s contribution from The Home Depot Foundation. Since Repair Corps’ launch in 2011, The Home Depot Foundation has donated $19.2 million, including this year’s contribution, and helped build, repair or rehabilitate 1,026 homes in in partnership with U.S. military veterans and their families. The Home Depot Foundation is a 501(c)(3) committed to improving the homes and lives of U.S. veterans and their families with a specific focus on combat-wounded, senior and homeless veterans. The foundation also provides clean-up and rebuilding support for communities affected by natural disasters. Since 2011, The Home Depot Foundation has invested approximately $200 million in veteran-related projects, part of the foundation’s quarter of a billion dollar pledge to veteran-related causes by 2020. In partnership with Team Depot, the 400,000-strong army of associate volunteers, the organization has positively impacted more than 33,000 veterans’ homes and helped more than 2,000 communities.